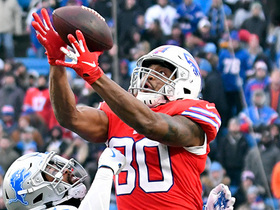 Analysis: Croom was Buffalo's second-leading receiver behind Zay Jones, who benefited from a meaningless 31-yard touchdown with 1:08 remaining. Buffalo's new starting tight end is unlikely to gain much relevance at the position considering this is his first time exceeding 36 yards, but desperate deep-leaguers could do worse than Croom against the Dolphins in Week 17. Analysis: Croom will join Logan Thomas as the only active tight ends on the roster, which according to Joe Buscaglia of WKBW.com, had apparently been something in the works for some time. Neither is particularly encouraging from a fantasy perspective, however. Croom has the lone touchdown of the duo and more total receiving yards on the year, but the pair has surpassed 40 yards through the air in a single game just once this season (Thomas back in Week 9). Analysis: Croom was unable to practice at all and ultimately didn't play Week 14 against the Dolphins. Starting the week with a full practice is a good sign, though Croom's role in the offense is minimal and none of the Buffalo tight ends are fantasy worthy this season. Croom (groin) is inactive for Sunday's game against the Jets. Analysis: Listed as doubtful heading into the weekend after failing to practice this week, Croom's unavailability hardly comes as a surprise. With the Tennessee product sitting out, Logan Thomas checks in as the clear No. 2 tight end behind starter Charles Clay. Croom (groin) is listed as doubtful for Sunday's game against the Jets. Analysis: Croom hasn't practiced in any capacity this week after failing to draw a target across 25 snaps in the Week 13 loss to the Dolphins. The Bills are left with Charles Clay and Logan Thomas as their only healthy tight ends. Croom (groin) did not participate in practice for the second straight day Thursday, Chris Brown of the Bills' official site reports. Analysis: Croom got the nod over fellow backup tight end Logan Thomas (a healthy scratch) last week, so we imagine the team would just flip that scenario if Croom can't rally and practice Friday. Croom (groin) won't practice Wednesday, Chris Brown of the Bills' official site reports. 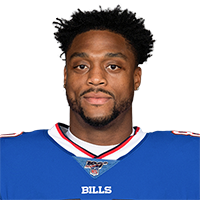 Analysis: Since the Bills' Week 11 bye, Croom has caught two passes for 16 yards off three targets. Fellow tight end Charles Clay missed two games due to a hamstring injury, but has since recovered and helped provide depth for the Bills at tight end. Croom's practice statuses throughout the week should paint a better picture of whether he'll be good to go Sunday. Croom caught two of three targets for 16 yards during Sunday's win over Jacksonville. 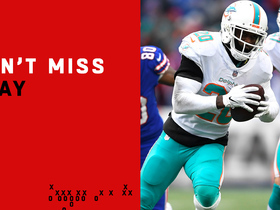 Analysis: Charles Clay (hamstring) couldn't play in the contest, so Croom and Logan Thomas split the starting role almost right down the middle, with Croom seeing 29 offensive snaps to Thomas' 31 (no catches, one target). Clay seems ready to return in the next game or two, so the limited window Croom had to do anything noteworthy is about to pass. Croom is listed as the projected starter at tight end in advance of the Week 12 matchup against Jacksonville. Analysis: With Charles Clay (hamstring) once again landing on the inactive list, it will be up to Croom and fellow tight end Logan Thomas to fill the void. This was the same situation in Week 10 against the Jets prior to the team's bye, and while Croom logged a season-high 44 offensive snaps, he was not targeted a single time in the passing game. While Croom should see steady time on the field, there are likely other waiver wire options with more pass-catching upside. Croom's teammate Charles Clay (hamstring) is listed as doubtful for Sunday's game against Jacksonville. Analysis: That means Croom will likely share starter's time with Logan Thomas, though it's worth noting he didn't do much with the season-high 44 snaps when Clay missed the last game, as Croom wasn't even targeted. You can find a better option, but Croom does have a good set of hands so it'll be worth watching to see if the Bills involve him at least a little more in the passing game with rookie quarterback Josh Allen back at the helm this week. Croom was on the field for 60 percent of the offensive snaps in Sunday's win over the Jets but was not targeted in the passing game. 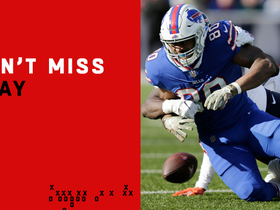 Analysis: Croom's playing time went way up with Charles Clay shelved with a hamstring injury, but nothing much came of it even with the Bills having their biggest offensive day of the season. The Bills are taking a good look at many of their younger players in what's turned out to be a rebuilding season, so Croom will continue to have a small role even if Clay returns to action following the team's Week 11 bye. That role won't yield more than a few sprinkled catches, however. Croom and Logan Thomas will share tight end duties Sunday against the Jets with Charles Clay (hamstring) out of the lineup, Chris Brown of the Bills' official site reports. Croom caught three of five targets for 36 yards during Sunday's loss to the Bears. 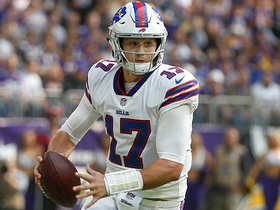 Buffalo Bills quarterback Josh Allen throws a laser across the middle to tight end Jason Croom for a first down. 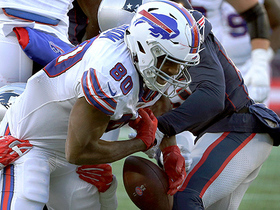 New England Patriots cornerback Jason McCourty strips the ball out of Buffalo Bills tight end Jason Croom's arms as he fights for extra yards inside the red zone. 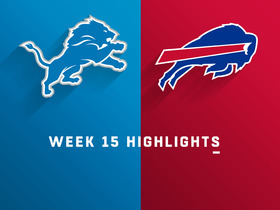 Check out the full game highlights from the Week 15 matchup between the Detroit Lions vs. Buffalo Bills. 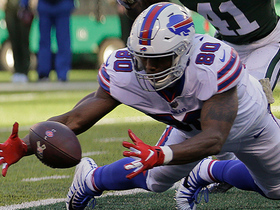 Buffalo Bills wide receiver Zay Jones fumbles the ball in the end zone and tight end Jason Croom recovers the ball in the end zone for another Bills touchdown. 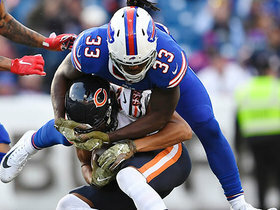 Chicago Bears safety Eddie Jackson recovers a forced fumble by Roquan Smith and runs 65 yards for a touchdown against the Buffalo Bills in Week 9. Buffalo Bills quarterback Nathan Peterman pass attempt to running back Chris Ivory is picked off by Chicago Bears cornerback Kyle Fuller. 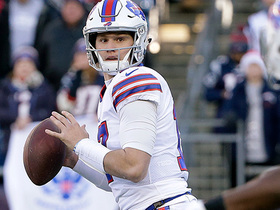 Buffalo Bills QB Josh Allen connects with tight end Jason Croom for a 26-yard touchdown catch to extend their lead.